It may sound somewhat hard to believe but the Mercedes-AMG GT is approaching its fifth birthday. Although it’s been updated along the way and some very impressive variants have arrived, development of its successor is very much ongoing and Automobile Magazine has uncovered some of the first details. First off, it appears the nameplate, GT, will stick around, unlike the previous SLS AMG. Mercedes-AMG wants to continue building on the established name equity for its Porsche 911 fighter. The report also provides some insight into some more technical changes. 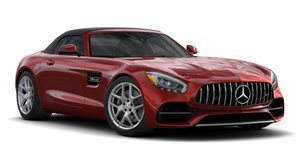 For example, to help cut costs, the AMG GT and next SL, due to arrive first in 2020, will share an aluminum architecture that’s lighter and stiffer than today’s platform. It will also enable both roadster variants to have canvas roofs. Folding hardtops, as we all know, are heavy and mechanically complicated, so why bother? However, that new architecture doesn't come without a cost. The well-regarded rear-transaxle layout of the current AMG GT will be gone. However, there is an upside to this. The engine and transmission will be mated allowing for the automaker’s 4Matic all-wheel-drive system to fit. Yep. That means the new AMG GT, at least some variants, will be AWD. Not surprisingly, electrification will play a significant role as well, though details of how exactly are still unknown. Chances are a plug-in hybrid powertrain will be what’s ultimately chosen. Remember, Mercedes-Benz is currently prepping its EQ lineup of all-electric vehicles and it’d make complete sense for some of that battery technology to make its way to its halo model. 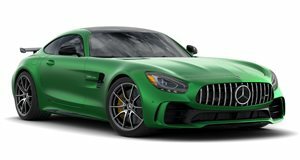 And yes, sources indicate the top-of-the-line AMG GT will retain its V8 engine, but it could very well feature a 335 hp or so electric power pack that straddles the differential. Word has it that the batteries and electric hardware will offer nearly the same weight distribution as the current transaxle layout. Good to know. Lower trim GTs are likely to receive the automaker’s latest straight-six engine, which will also feature electrification to some degree. Even a turbocharged four-cylinder option shouldn’t be ruled out. If all goes as planned, expect the next generation AMG GT lineup to make its first appearance in late 2021.